SRINAGAR: An Army jawan was killed during an encounter that broke out between terrorists and security forces in Pulwama district of Jammu and Kashmir on Monday, police said. The security forces gunned down three terrorists in a fierce retaliation. The operation is underway. One civilian was also injured in the crossfire. 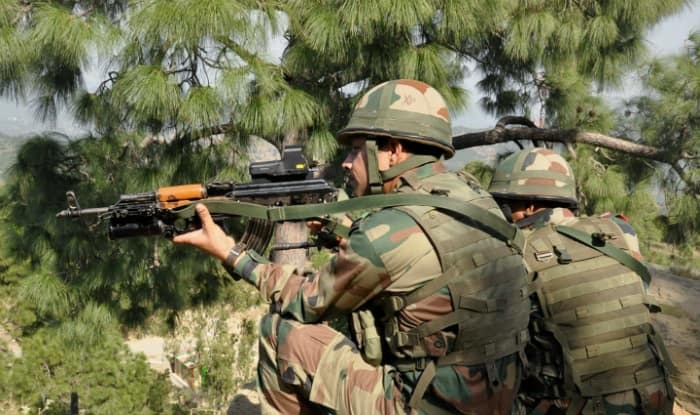 Security forces launched a cordon-and-search operation in the Kandi belt of Aglar area in Pulwama district in south Kashmir following information about the presence of some terrorists, the spokesman said. "The exchange of fire between the two sides is going on," he added. On November 2, two Army soldiers were killed and a CRPF jawan suffered injuries in an encounter with militants at Samboora in Pampore area of Pulwama. The encounter had ended with the gunning down of a militant.